Does Attacking Animal Charities Help Animals? Perhaps you've seen the disgruntled kitty on the subway, in Times Square or in The Dodo. A little-known group with deep pockets runs advertisement after advertisement online, in print, on television and elsewhere. Look out, the ads say. There's something you need to know about The Humane Society of the United States. Isn't attacking the Humane Society of the U.S. like attacking mom, or apple pie? I've lost track of the number of conversations I've had with friends, family members and even strangers, confounded by the idea that our organization would have adversaries. But it's true. Since 1954, The HSUS has been attacking large-scale mistreatment of animals nationally and globally. Our founders knew local shelters weren't able to do this kind of work, because their mission is to help animals in their community find homes. Together with our affiliates, we do rescue and provide direct care to tens of thousands of animals every year. But our primary mission is to prevent cruelty to millions more before they end up in distress. This work has drawn fire from industries that involve animals, such as notoriously cruel puppy mills, factory farms and the wildlife trade. What we do is a threat to industries that benefit from the status quo of mistreatment of animals. So they've become the benefactors of a Washington-based front group that does their dirty work. The attacks on us come from HumaneWatch, a project of the misleadingly named "Center for Consumer Freedom." This is an organization that serves no public purpose. It is anonymously funded by large corporations to pursue their agendas, mostly through distorted advertising and histrionic opinion pieces. CCF got its start in defending big tobacco, and has moved on to such dubious causes as tanning beds, high-fructose corn syrup and trans fats. Led by Rick Berman, a man 60 Minutes dubbed "Dr. Evil," CCF has attacked Mothers Against Drunk Driving, the United States Centers for Disease Control and Prevention and other organizations, including ours. Meanwhile, Mr. Berman and his PR firm have profited handsomely. The most cynical of Berman's many attacks was the made-up "Humane Society for Shelter Pets." It ran attack ads for a few years, then dissolved, without having helped a single animal in a single shelter as far as we can tell. It did pump a few hundred thousand dollars into the Berman coffers before going dark, only to resurface again this spring. Berman's spider web of astroturf organizations has improved his own wealth, but not the lives of animals in shelters or anywhere else. He is trying to divide the animal welfare movement and tell people the only animal protection work worth supporting is the sheltering of dogs and cats – but what about the 99 percent of animals at risk who never set foot into a shelter? 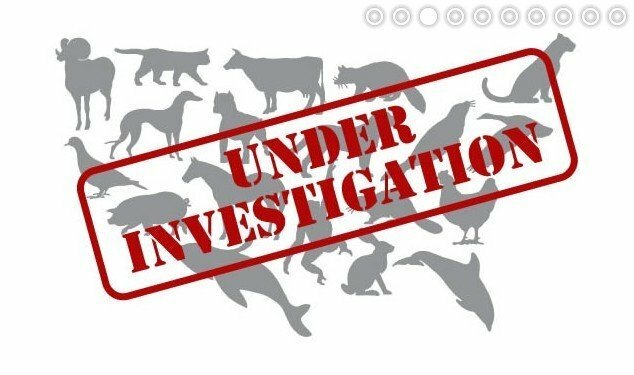 For 60 years, The HSUS has been extraordinarily effective at stopping large-scale animal abuse that some corporations would rather keep hidden. Berman's attacks are actually a testament to that effectiveness. After all, why would anyone bother to put tens of millions of dollars into attacking a poorly-run and ineffective animal charity? You can read more about Berman and how he operates here. Then, join us in our successful strategy to build a more humane society. Alan Heymann: Heymann is vice president of communications for The Humane Society of the United States.